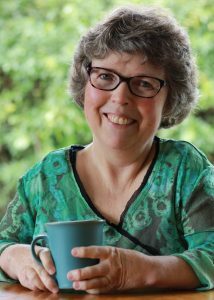 Trish Harris has worked with words over the last thirty years – writing, editing, creating and tutoring. She has a Bachelor of Applied Arts (Creative Writing) from Whitireia New Zealand. Amongst other places, her writing has been published in SPORT, New Zealand Listener, the School Journals and broadcast on Radio New Zealand. Trish works part-time. The Walking Stick Tree is her first book.